It’s a great feeling when you’re able be generous to others, especially the person who gave you life. 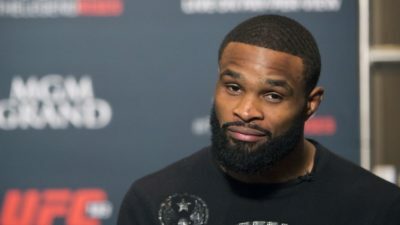 After making a promise at ten-years-old, UFC Welterweight Champion, Tyron Woodley, kept to his word and gifted his mother with a new home. This is a great way to bring in the new year for the Woodley family. Woodley is currently scheduled to have shoulder surgery, and looks to defend his title early in 2018.